I am a supporter of independent restaurants, but haven&apos;t written about Green Street Pub & Eatery since my post on Hendricks County&apos;s Best Sandwiches Part II. It’s time I changed that. My parents are newbies to Green Street, so we decided to dine there on a Thursday evening after hearing a lot of rave reviews about their famous chicken wing special. I have a bit of a weakness for chicken wings, and it didn’t take much arm twisting to invite my parents with me to sample some chicken wings and other dishes on Green Street’s menu. 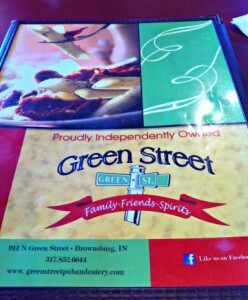 Green Street Pub & Eatery has been in business for 15 years and is located in the Brownsburg Square Shopping Center, between the Kmart and Kroger. We walked in and decided to eat in the separate bar area, so we could try the chicken wings, which are a bar-only special on Thursday nights. 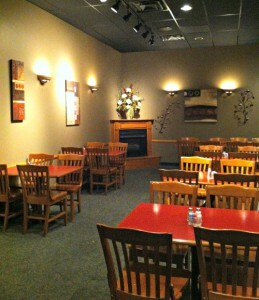 The bar area is for adults only, but there is a dining room for families and those who do not want to dine in the bar. 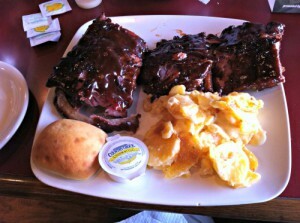 We were warmly greeted by our server, Cindy, who went over their specials and gave us a few recommendations. As a former server and someone who worked in restaurants, I always appreciate it when a server gives recommendations and is extremely knowledgeable about the menu. We ordered our drinks (alcoholic beverages are very reasonably priced and there were a few beer specials), watched a bit of the games on the TV in the bar and decided to dig into the menu. 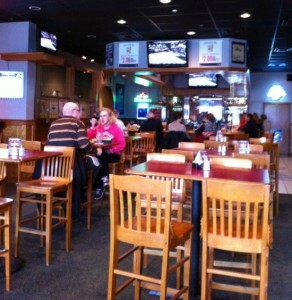 Green Street has a large menu with plenty of appetizers, sandwiches, steaks, and pasta entrees. It took a few minutes to decide, but we agreed to order plenty so we could share. It’s always fun to dine with my parents, who are game to try a bunch of different things and share with me. 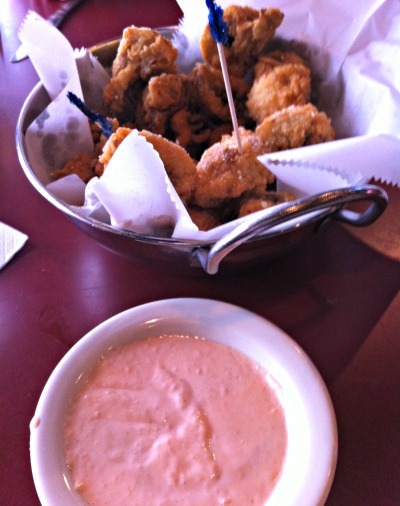 Fried mushrooms served with an aioli dipping sauce. I confess that breaded mushrooms are one of my favorite appetizers, and these were fresh and piping hot. Coated with a light breading and served with a homemade horseradish dipping sauce on the side, I had several of these because they were so fresh and juicy. But there were plenty for the three of us to enjoy. Tuesday nights: Live trivia from 7 to 9 p.m. in the bar area. 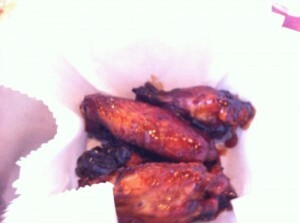 Thursday: Chicken wings, available in the bar only. 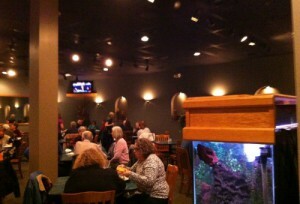 Friday night: Prime Rib Dinner Special and a Fresh Fish Special. 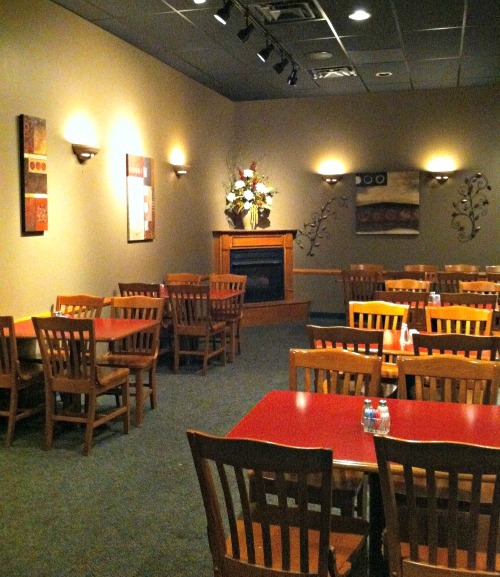 Saturday: Live entertainment (through the end of April). Hours: 11 a.m. to 11 p.m., Monday through Thursday and 11 a.m. to midnight, Friday and Saturday. Closed Sunday.